WASHINGTON – U.S. 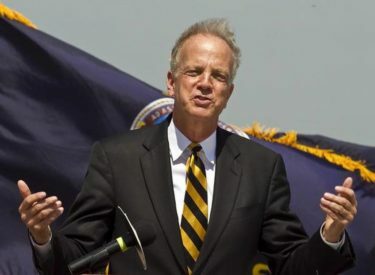 Senator Jerry Moran (R-Kan.) today announced he is accepting applications for congressional internships in his Washington, D.C., Manhattan and Olathe, Kan., offices for summer 2017. An internship in Sen. Moran’s office – focused on either policy or communications – provides a unique opportunity to work closely with Senate staff on behalf of Kansans. Legislative interns will gain a better understanding of the legislative process in the U.S. Congress and develop knowledge and professional skills valuable to future career pursuits. Communications internships provide a unique opportunity to learn about how political communications and the legislative process intersect, and gain practical knowledge about the inner workings of a fast-paced press office. The Office of Senator Jerry Moran intern program is open to qualified undergraduate and graduate students – or recent graduates – who have strong interest in public service and government and have achieved academic excellence. For questions, please contact Sen. Moran’s office at [email protected] or call 202-224-6521 and request to speak with the intern coordinator.